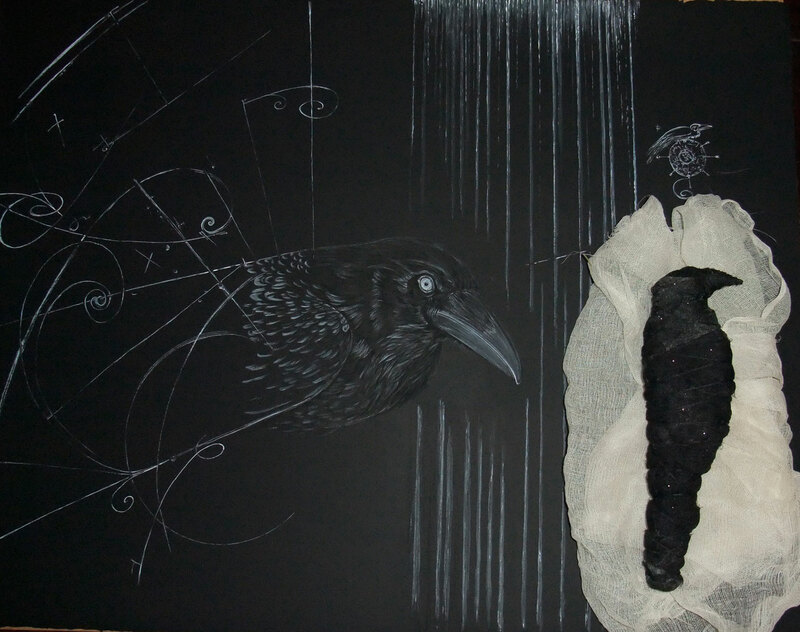 A Mytho-Poetic Crow from Glen Skien’s recent exhibition of Mytho-Poetic Transitions arrived inthe post today. Glen’s work is even more powerful in real life than in his photographs. You can read more about his work here & here & here. Glen’s work is stunning I aspire to being able to say so much with so few lines! please post photos of those old suitcases as well! My dad had an old sea trunk that I loved & I had a boyfriend many years ago with a trunk that when stood on end and opened transformed into a wardrobe replete with hanging space for shirts trousers, jackets and a set of drawers for the smalls, I coveted that trunk badly! Beauty… ’tis done with a few days to spare ’til the New Moon!